Tim Holtz Idea-ology REGAL ADORNMENTS Metal TH92903 at Simon Says STAMP! TH92903 /3.6 This item is on reserve until If you would like to reserve this item now, you may purchase it now with the rest of your order. We will hold your order now and ship your entire order as soon as this item is back into stock. If you would like your order to ship now, please place this item on a separate order. 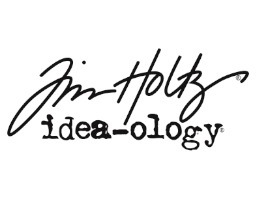 Success, Tim Holtz Idea-ology REGAL ADORNMENTS Metal TH92903 has been shared! Adornments/regal - charming? Definitely. This set of big crowns and wings are so amazingly detailed and finished with the perfect antique tarnish. The two crowns in the pack are 1.25 inches and 2 inches wide and the wings, well you actually get 4 pair of wings in the pack too - 2 inch and 2.5 inch wide wings! Endless creative possibilities for jewelry and adorning just about anything needing that regal touch. Set of 10 Charms in an antique nickel finish.